The fun world of L.R.F. Hello everyone, It’s been a few months since I’ve written anything for the FT webpage and as 2016 comes to an end I thought I’d put a little piece together with regards to my local L.R.F adventures over the last 12 months. Ive wanted to write some material for a while now to give a general overview on ‘What is L.R.F/How do I go about it/What can I catch’ as well as a diary style piece of my captures over the past 12 months. If you haven’t tried this fun and simple method then this might just inspire you to buy an L.R.F rod for Christmas and think about 2017’s fishing possibilities. 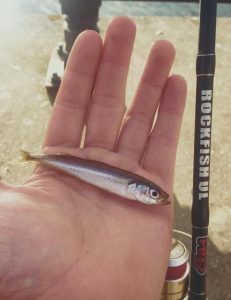 For those that are unaware light rock fishing or as we call it ‘L.R.F’ is a great way of targeting the vast array of smaller species that inhabit our docks, marinas and coastal edges. 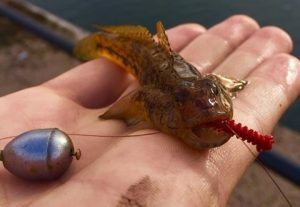 The idea is to use lighter rods and reels to intentionally catch the species that some may deem a nusisance whilst bait fishing for bigger specimens. What I personally find really exciting is the element of mystery when your drop that rig down, you just never know what will come up next. 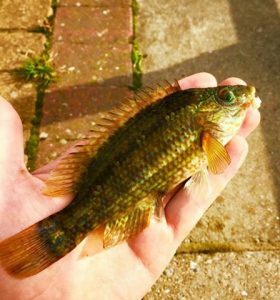 With the right tackle this style of fishing is available to anglers of all ages and you don’t even need to worry about using real bait! The above picture shows the kind of gear I use and what’s available on the market. The beauty of L.R.F gear is there’s lots of tackle to suit all kinds of budgets. 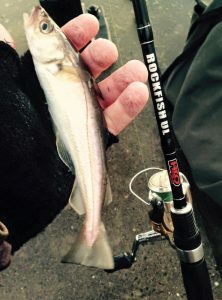 I use a HTO Rockfish Ultralight rod rated 0.5-7gr combined with a small front drag reel. I use a Shimano Sedona 750 loaded with 6lb braid. (Yes it’s tiny – but perfectly balanced with the rod). 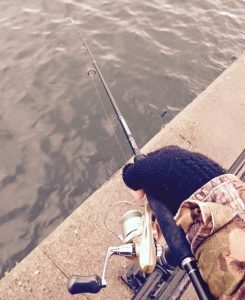 As this style of fishing is becoming increasingly popular throughout the U.K. the choice of rods and reels out there is also growing rapidly. Makes and models from the likes of HTO, HART, Sonik, Shimano and Daiwa all have tackle to suit every eventuality and pocket. Prices range anything from £30-230 but like any hobby it all depends on how much you want to spend. Local to me in the Northwest we have a big locked dock system with a promenade, This gives safe and easy access to fishing and is where I do all of my L.R.F’ing. There are other marks in the area however a lot of these are dominated by the tide and so the dock system offers fishing 12months of the year at any time. 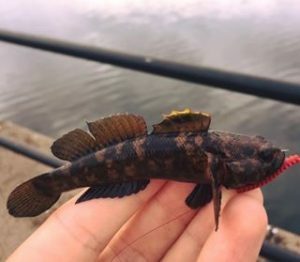 I’ve been lucky enough to catch a variety of species this year including Goby’s, Wrasse, Mackerel, Whiting, Sandsmelt and Pollack. However there’s lots of other species on offer like Flounder, Mullet, Codling and Sea Scorpions. 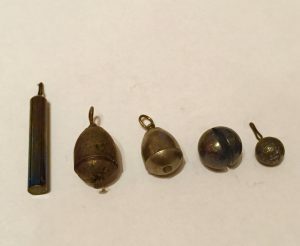 Let’s look at the Rig, ‘Baits’ and Techniques I/You can incorporate into L.R.F’ing. THE RIG: As I said above I spool my reel with 6lb Braid (I use braid from a brand called KastKing, It ties a good knot, Comes in a variety of colours and as you get 300mt for £8-10 it’s great value for money). I grinner knot my mainline to a micro-swivel and from this tie on a length of monifilament for a hooklength. (I use Maxima in 3-5lb B/S). Everyone will have their own ideas and thoughts on rigs but where I fish it pays to fish a drop-shot style Rig via palomar knotting the hook onto the length of mono and then attaching a weight to the tag end that’s left. 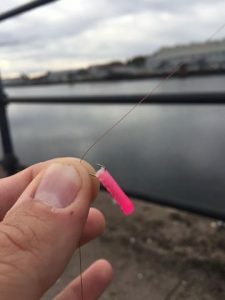 The reason for using a drop-shot rig is due to the bottom detritus present, fishing a drop-shot ensures my bait/Lure is always clear of any rubbish. Remember how long you leave your tag end denotes how far you want your bait/lure to sit off the bottom and for the majority of my L.R.F’ing I find fishing the bait/Lure 2-4″ from the weight just right. As it gets colder I often shorten it to 1-2″ as I feel even the mini-species don’t want to venture very far to grab a Lure. I’ve found subtle changes like this can make a big difference on certain days. The weights used can be dedicated drop-shot weights or simply split shot. I use anything from 3gr-7gr or SSG shot. Weather conditions will often denote what weight I need to use. For example, If not enough weight is used I struggle to feel for bites in windy conditions. 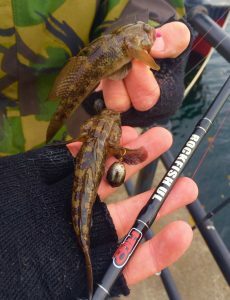 Hooksize depends on the size of the fish you are wanting to target and as with any fishing matching the hook size to the bait/lure is paramount. I favour ‘Kamazan B525 in sizes 14-16 and Mavers ‘match this’ pattern, Again in similar sizes. As im fishing with pieces of ISOME or VERMZ these hooks suit a slither of either perfectly. In the above picture you can see the Sz14 hook with a piece of ISOME worm hooked on. In conjunction with this I also smear the ISOME with a layer of ‘Atlas Mikes gel scent’. 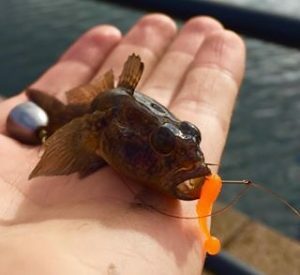 This I feel gives the bait a little more pulling power and on those days when it’s hard to get a bite this can often make a difference. For the majority of my L.R.F’ing I use Marukyus ISOME worms, Fladens VERMZ or CrazyFish’ white bait lures. 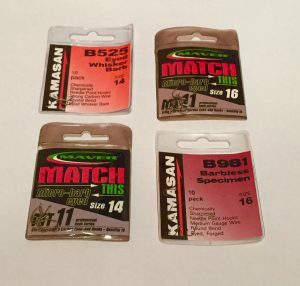 These can all be bought from all major tackle shops or online. 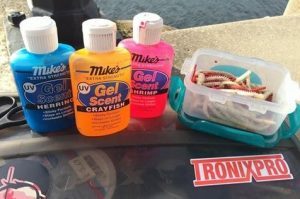 ‘AGM lures’ online often has a great range of U.L. lures, L.R.F baits, scents and gels. As I mentioned previously I fish from the top of a promenade. The usual tactic is to simply drop the rig down to the bottom and tighten up to the lead and wait to feel for a bite. Remember that as the bait is sat off the bottom any movement at the rod end is transpired down to the bait, So even the slightest of twitches means the bait/lure is always ‘working’. On diffcult days and notably when it gets into the colder months I incorporate the ‘3 tap technique’. Again drop the weight to the bottom and tighten up, Then whilst keeping a tight line lift the weight off the bottom by an inch or so and drop it back down, repeat this 2-3 times. Having watched the Gobies response to this in the past I believe the vibrations of the lead hitting the bottom makes the Gobies come over for a look, and as the ISOME is just above them it’s then within grabbing range. Casting out and twitching the bait/lure back like you would other lures and soft plastics is also a great tactic as this covers lots of ground. This gives you the option to search out other fish in the area too. So, That’s a basic run down of some of the gear I use and how I use it. L.R.F’ing in the U.K. is taking off in a massive way, Species Hunt competitions and ‘L.R.F get togethers’ all around the country make this style of fishing a new and exciting venture for anyone that’s not done it before. If you want to keep your fishing simple and fun in-between of work and home life then this might just tick all the boxes. Thanks for reading, tightlines and kind regards. Jamie.